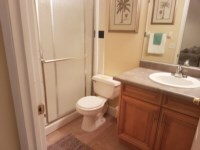 3 bedroom, 2 bathroom villa in the Creekside community. Owned by Dianne Coleman. Ref: 3290. Our beautiful refurbished 3 bedroom 2 bathroom luxury villa is situated in the peaceful area of Creekside. It is about a mile from the 192 which has a large Wal Mart which is open 24 hours a day and various restaurants and shops. This fully air conditioned luxurious open plan villa with high vaulted ceiling giving a cool fresh feel in the summer months. 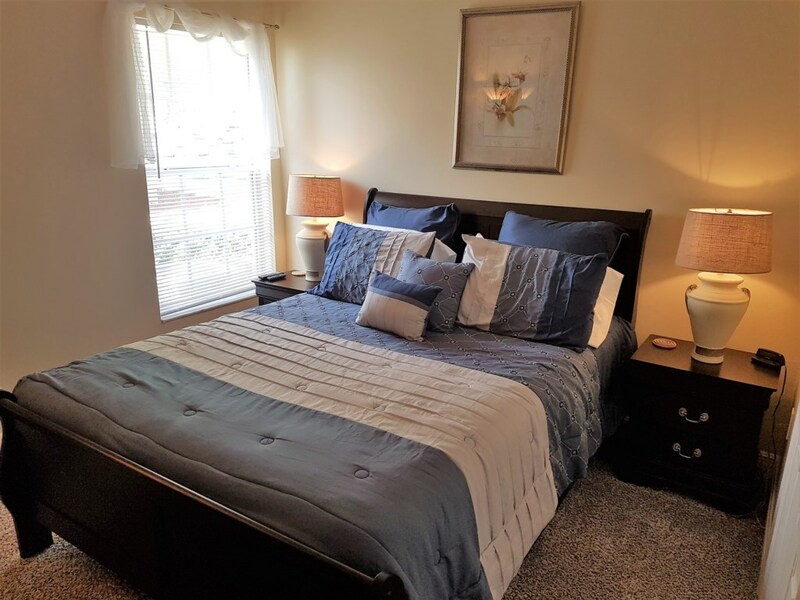 In the master bedroom there is an american king size bed with pillow top mattress and en-suite. Bedroom two has an american queen size bed with pillow top mattress and bedroom 3 has twin beds. bedroom two and three share a walk in shower family bathroom. Facilities include: cable TV’s in every bedroom Phone, DVD player Safe, 2 hairdryer, Fridge, Cooker, Microwave, Dishwasher, Washing machine, Dryer, Ironing Facilities. Cot, Highchair, All Towels and Linen supplied. Low season prices from $750.00 / £475.00 per week. Peak season prices from $900.00 / £575.00 per week. £150.00/ $300.00 security deposit required to confirm booking and full payment required 8 weeks before your holiday. We just spent two weeks at the villa after booking with Dianne and Jerry and it was all very easy and quick with the booking, the villa location was perfect with it not being too far away from the airport and close to all the parks and restaurants as well as easy access to international drive. The villa itself was very clean and homley and had everything you could possibly need l, Dianne also kept in good contact should we need anything and was always very helpful. We will definitely be using the villa again when we go back to Orlando and I want to thank both Dianne and Jerry for being a big part in making our holiday special. 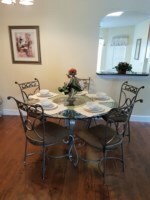 Upon a recommendation I contacted Dianne and Jerry over a year ago to book the 3 bedroom villa. Throughout the whole process and right up until we left they provided us with any answers to questions we had or any help we needed. The villa itself is very well equipped and has everything needed. We loved the addition of the games room in the garage. The villa was a perfect location for all of the parks with plenty of lovely restaurants near by. Not to forget to mention Walmart is just around the corner! We had a minor problem whilst out there and the management company assisted and sorted it all for us quickly. I highly recommend booking with Dianne and Jerry and would definitely use them again in future. Thank you both! Great Stay, at this wonderful villa!!!! On behalf of me, Gemma, Dave and Cat I'd like to personally thank you for helping make our holiday truly spectacular. 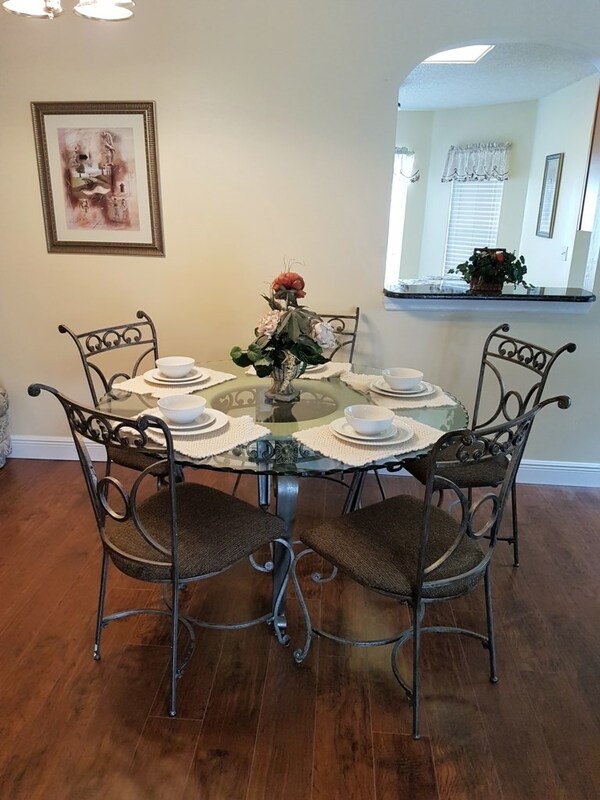 The villa was beautiful, spacious well maintained and provided an excellent home from home. The location was perfect being only 15 minutes from Disneyland and right beside the 192. We loved the pool making use of it everyday and the games room was an added bonus. The rooms and bathrooms were very clean and provided all the home comforts we needed. We booked the 3 bedroom property and can highly recommend it. The standard of the decor furnishings was excellent. Clean and cared for villa with a nice feel. Dianne who we dealt with gave us all the info we needed on booking and for our arrival. Master bedroom had large walk in wardrobe and En Suite bathroom. Kids had choice of a further double room or two single beds in the third bedroom and shared bathroom shower outside these bedrooms. 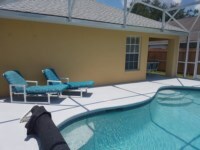 Pool table was fun and you could tell the owners knew what a family wanted in a rental in Orlando. Cooker fridge and showers all working with no issues and kitchen had all the utensils you need to make any meals and TV had cable channels and tv program Tivo type recording options which I used to record the England games. TV in all bedrooms but not used much and a PC also not used by us but there if needed. Screened Pool was a godsend due to high temp in June/July. Sofa layout was good and comfortable and a dining table in kitchen for breakfast and another one in living room for diner if you need it. We all enjoyed our stay and would have no hesitation to book again and very good price for a very nice Villa. Fast return of our deposit by Dianne and you really can't go wrong. I just want to pass on my family’s thanks for allowing us to stay in your villa this past fortnight. It was great to have a home from home and to have our own pool which our 11 yr old son made plenty of use of. It even allowed us to teach him to swim at long last as he lost his fear of the water. We really enjoyed our family holiday and were sad to leave yesterday to fly home. We took good care of everything and treated it as our own home. Once again many thanks and we will be in touch with you regarding renting it again on our next visit to Orlando. I am so pleased that you had a great time at our villa. Stayed from 26th Feb - 4th Mar, another perfect week in The Coleman's homely & comfortable villa. After long Disney days coming home to relax by the pool was the best. 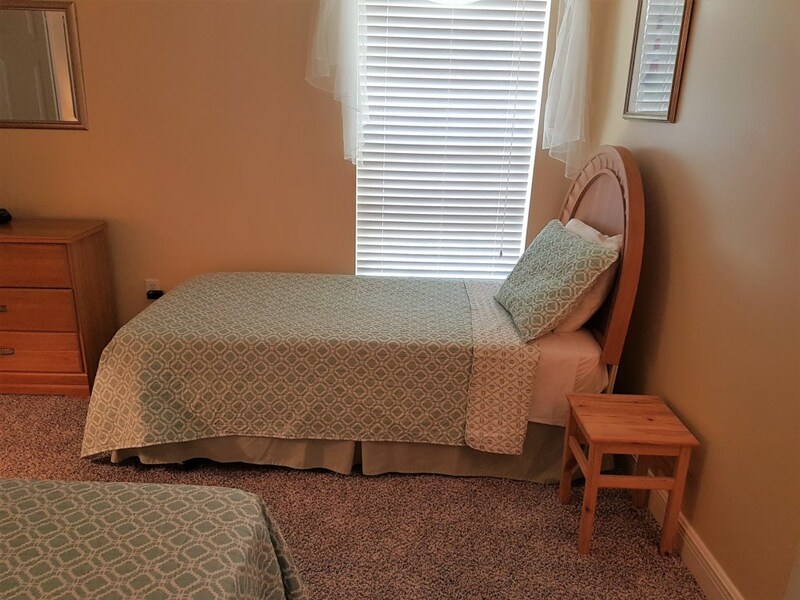 The villa is in a quiet location but close to everything you might need i.e 20 mins from Disney & Universal with Walmart at the end of the road for those all important provisions. 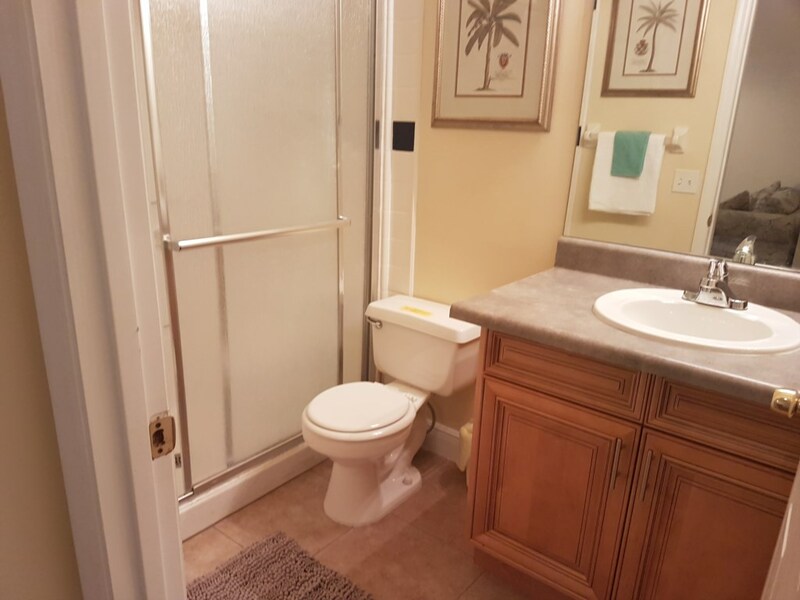 Owner's response: Look forward to you staying again Sharon. I originally found this villa some years ago. I liked it for its location being near the 192, Walmarts, restaurants and of course the parks. The surrounding houses are owned by families and its a safe and well cared for area. Since our first visit we have come back every year. I love this villa mainly because of the obvious care the owners take with this property. On each visit we find something that has been updated. 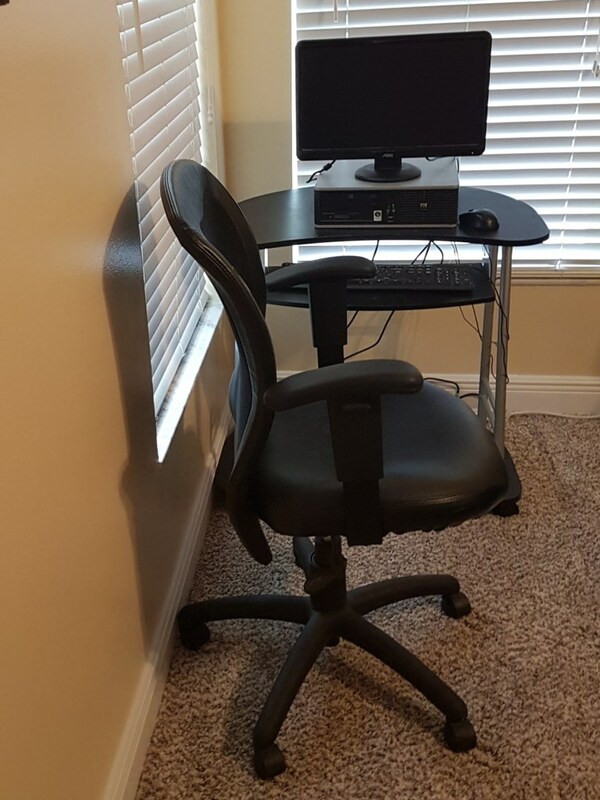 The house is clean and has every facility. I rate this villa highly. Owner's response: Hi Hilary, Thank you for the feedback we love you staying in our villa. We required a villa for 4 nights on short notice and Dianne was only to happy too help. With the villa details sent prior we had all the information needed to find and get into the villa without a fuss. On walking in we were pleasantly met with a great open space that was already cool with air conditioning which is throughout the property. We are a family of four and although they are 2 tables to eat around we just ended up using the smaller one in the kitchen. The kitchen is well equipped with all cooking utensils, pots, plates, microwave, cooker, fridge, freezer etc.. just what you would find at home, it even has a dish washer too! All the beds were very comfy, lots of space for suitcases in the walk-in wardrobes. As for things we didn't need but others might find useful there are push chairs / high chairs / set of golf clubs. even a blow up unicorn and bits for the pool! High speed free wifi which was great for keeping in touch and the kids loved when we were in the villa, lots of TV channels. The pool is in the sun all day so we didn’t have to pay extra for heating. 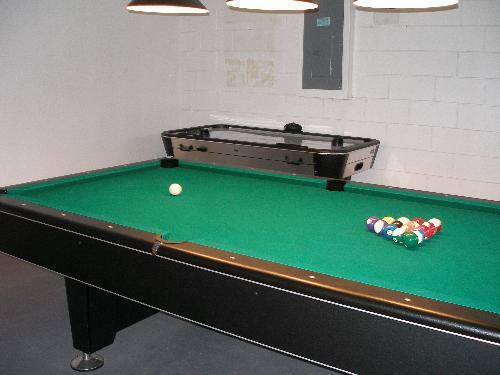 In the garage, there is a pool table / air hockey and laundry facility’s. It's situated on a quiet estate just down the road from Walmart, so for stocking up on bits it's very easy. To get to Disney, Universal it's about 15 minutes I would say. Maybe a little more depending on traffic. I would defiantly stay in the same villa again if we are lucky enough to get over to Orlando. We stayed in this lovely villa for 8 days, we had full use of all the facilities and the heated pool a welcome treat after a full day of walking round the theme parks. 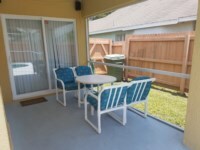 The location is just perfect to get to all the parks and I would certainly recommend this villa to family and friends. My husband and I stayed in the 3 bed villa from 26th September to 6th October 2016. The villa is situated on the quiet development of Creekside which we found to be a nice quiet area close to all of the attractions Orlando has to offer. The villa had plenty of room and was well equipped. The pool had sun on it all day, and we particularly enjoyed sitting out under the covered lanai. 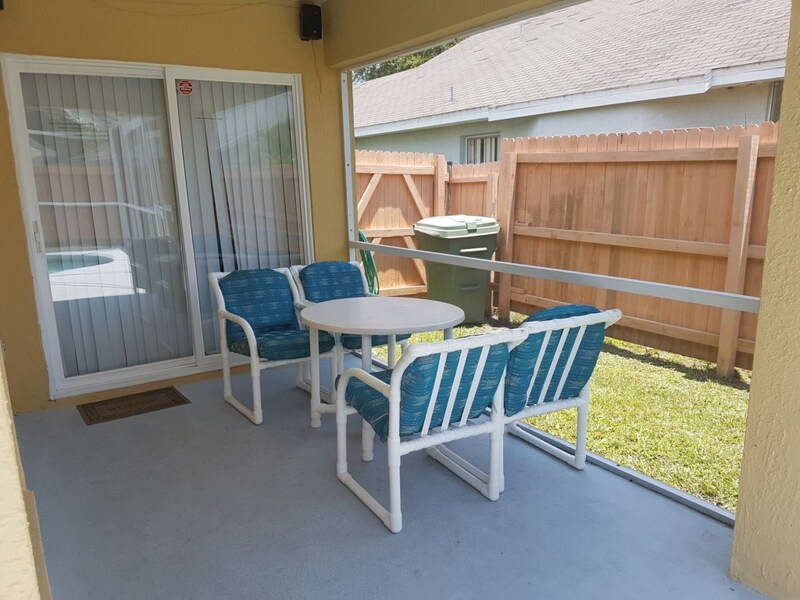 In all of our previous visits to Orlando we have never stayed in a villa with a covered outside area before but we found it invaluable this time and it has become a "must" for us. Even when it was raining we could sit comfortably outside, still enjoying the warmth of the day. Having the Walmart at the top of the road was so handy, and we found ourselves popping in almost every day! Communication with Dianne was easy and efficient, from our initial enquiry right through to a follow up email after our stay had ended. It was a nice touch to receive a telephone call at the villa from Dianne on the day we were due to leave and Hurricane Matthew was headed our way. She called to offer us the villa for a few more days if our flight was cancelled, but we managed to fly out before the hurricane arrived. We had not stayed in this area before this trip, but we would have no hesitation returning to this location and this villa. We spent 2 great weeks in The Coleman's lovely Villa and had an amazing holiday. 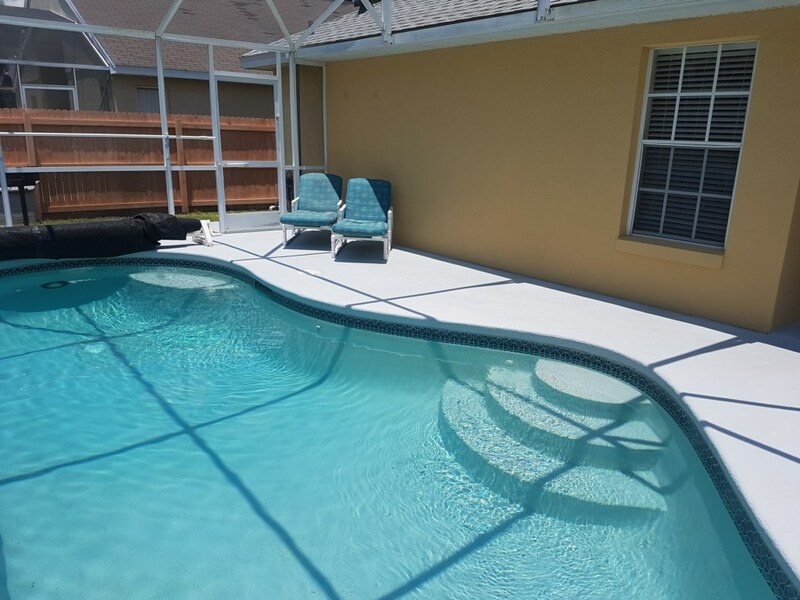 Booking the villa was very easy and the conact prior to arriving in Orlando from Dianne was so helpful with advice on whan we needed and could easily purchase out there to cut down on packing! The Villa was perfect for our holiday being so close to all the Orlando Theme Parks and so many shops and places to eat out. The boys loved cooling of in the pool after hot days out and even getting in first thing before we headed out as it was warm enough without pool heating in August. We also made some use of the pool and air hockey table too. Great to have all the washing facilities and kitchen very well equipped too. Not forgetting comfy sofas/beds and great air conditioning which is much needed in August heat! Dianne also allowed us a late check out which was perfect as saved hanging around in 90 degree heat until 8pm flights! Much appreciated by all as really managed to enjoy our holiday to the end. Thank you again and would highly recommend this villa for a trip to Disney! 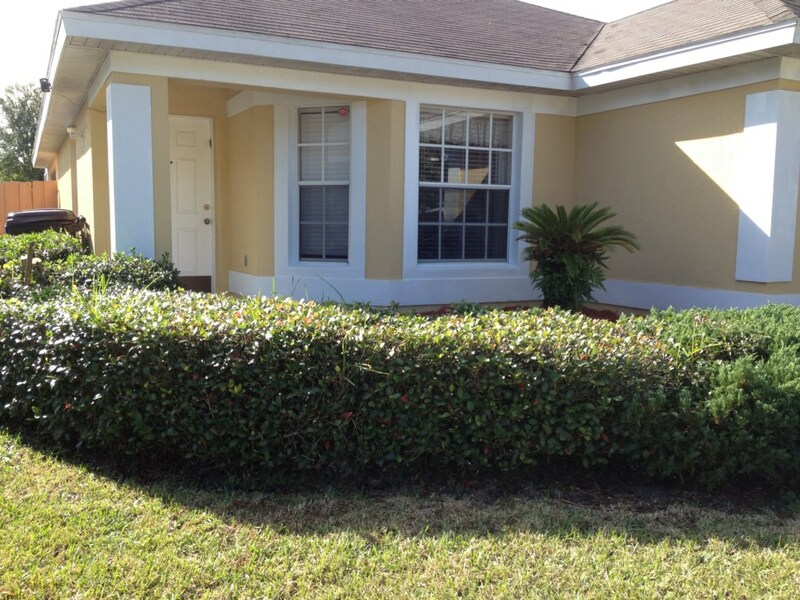 Owners are great and the villa was very clean and all the amenities were excellent. My kids enjoyed the stay, pool, and the various games. I am so pleased that you had a great vacation in our villa. Your enquiry will be sent to villa ref 3290 only. This page has been viewed 44366 times since 21 Feb 2007.